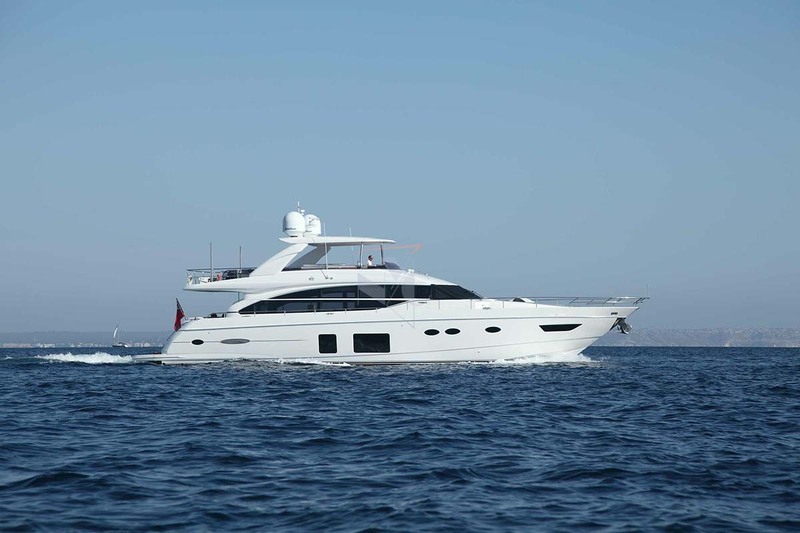 Motor yacht SAMAKANDA was delivered in 2014 by Princess Yachts of the United Kingdom, she has a length of 25,20m (82'8'') and accommodates 8 charter guests, in 4 cabins. 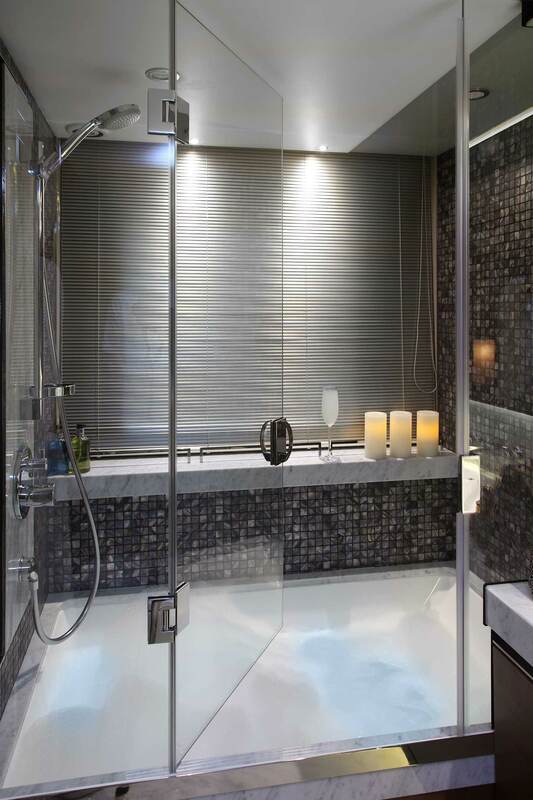 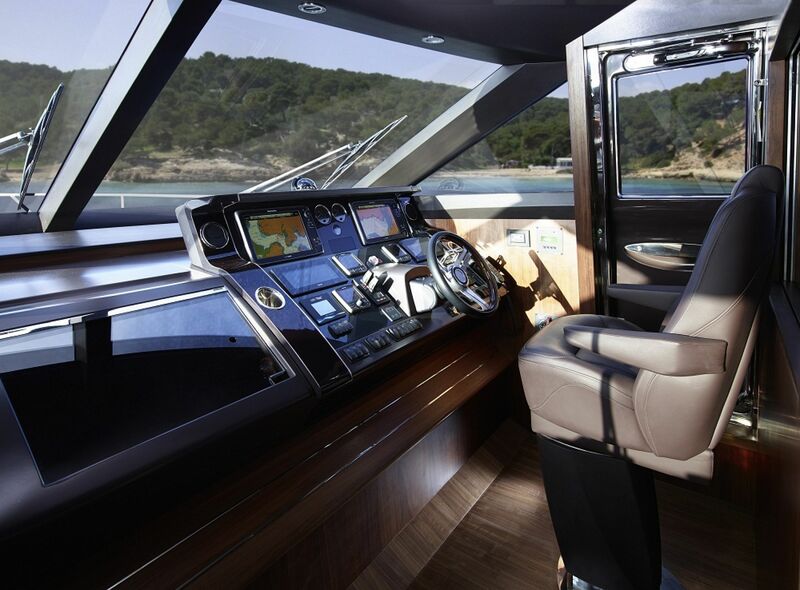 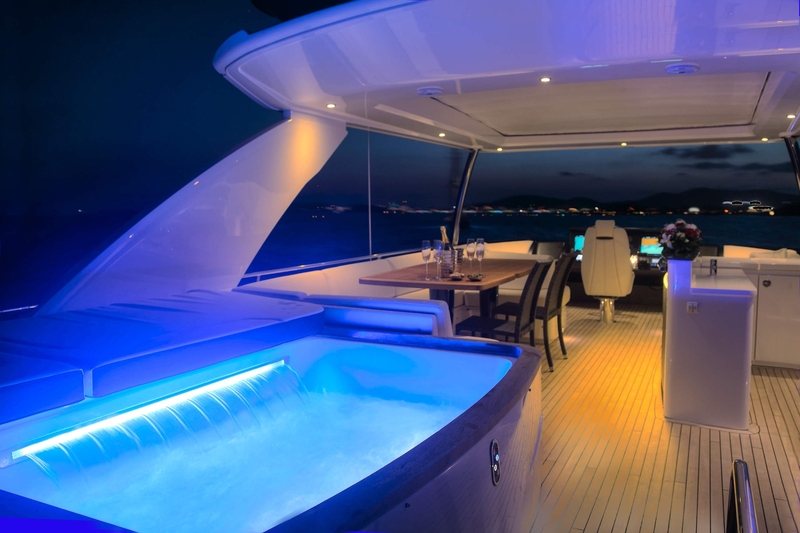 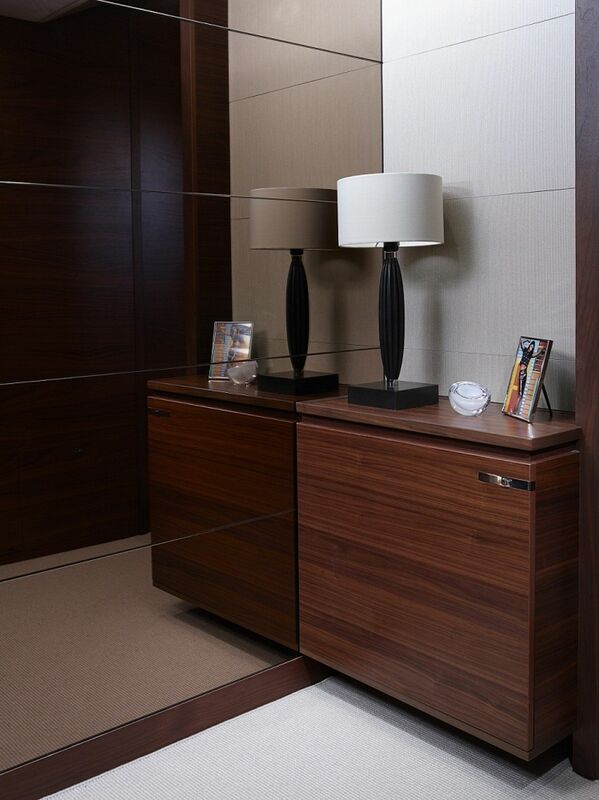 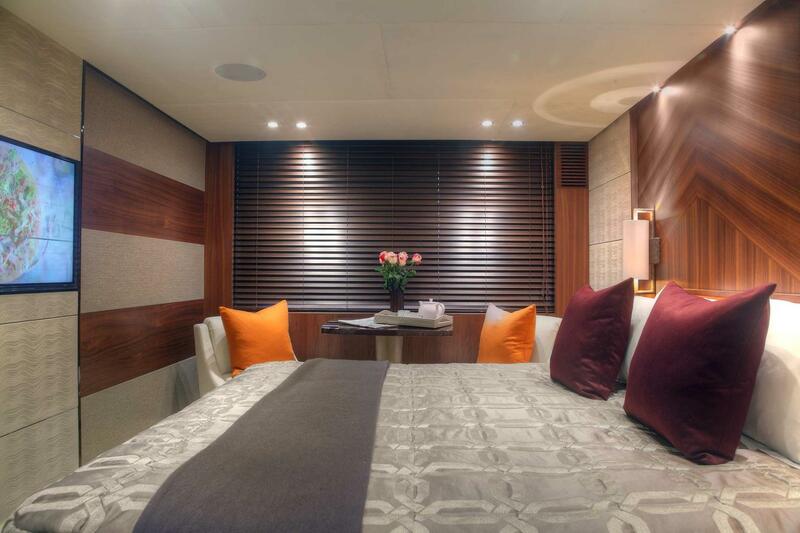 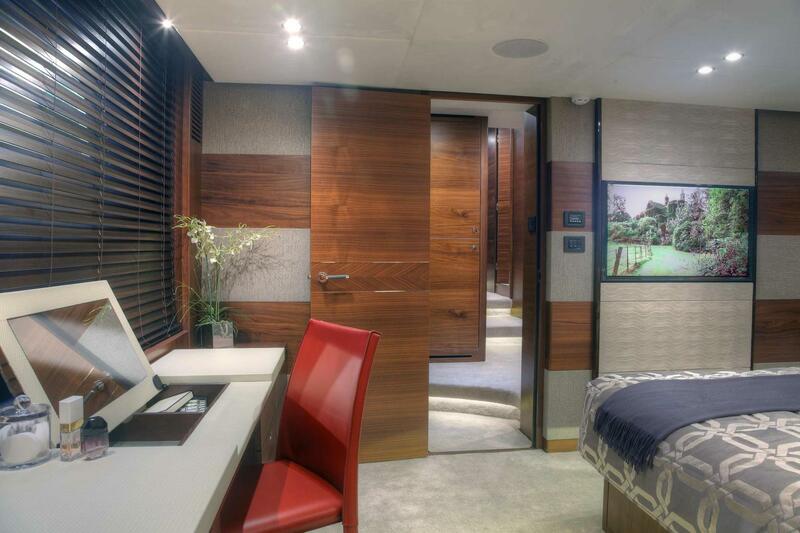 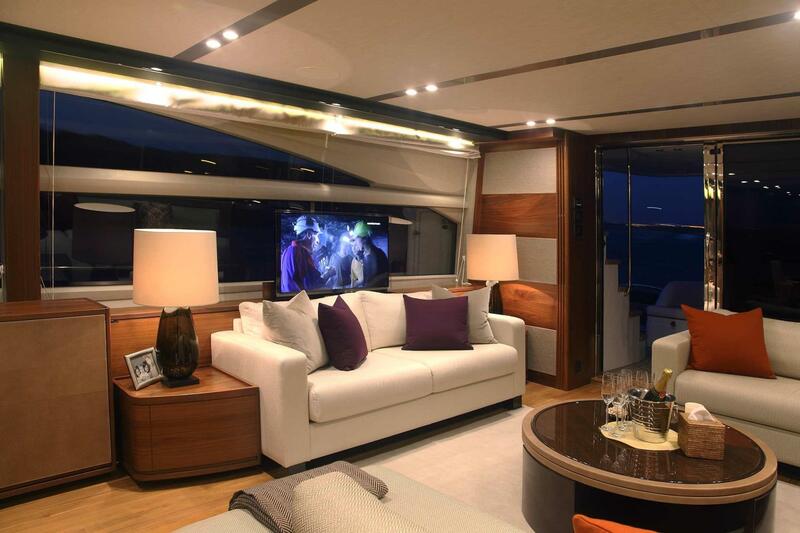 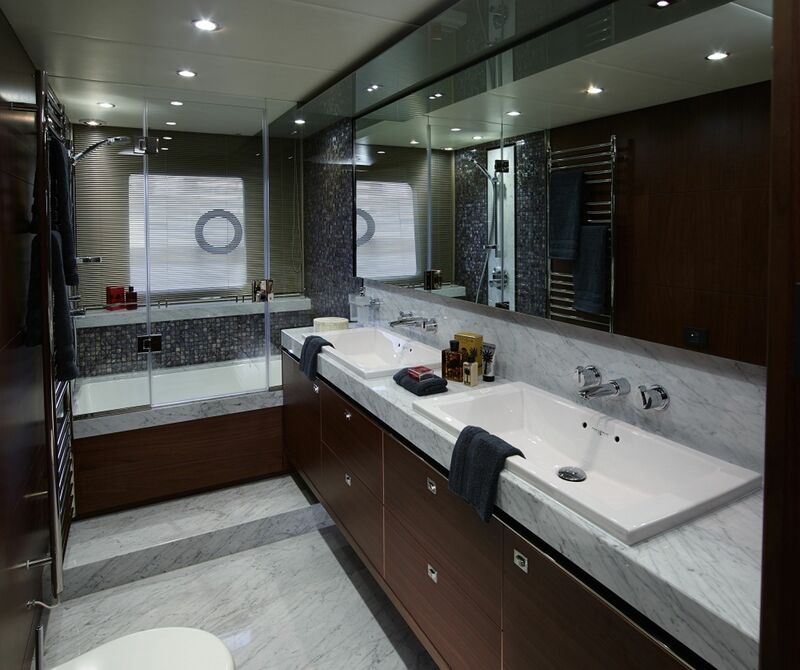 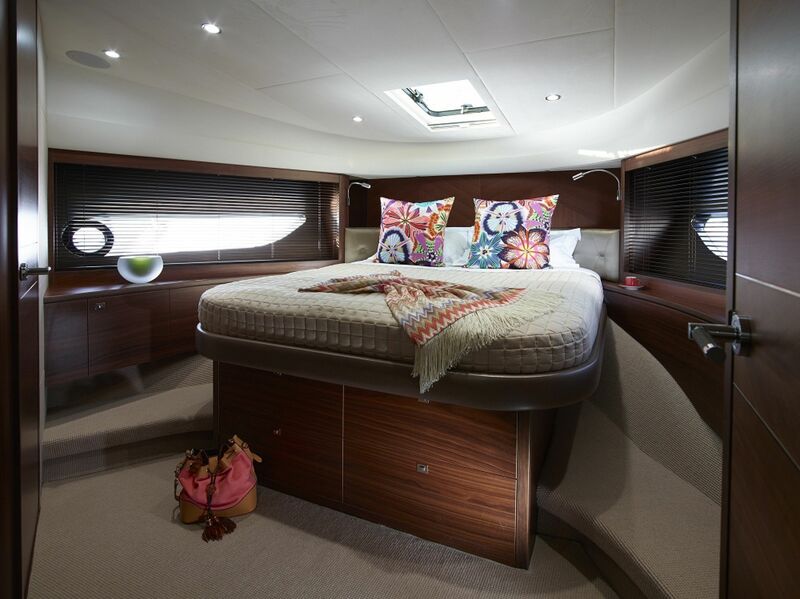 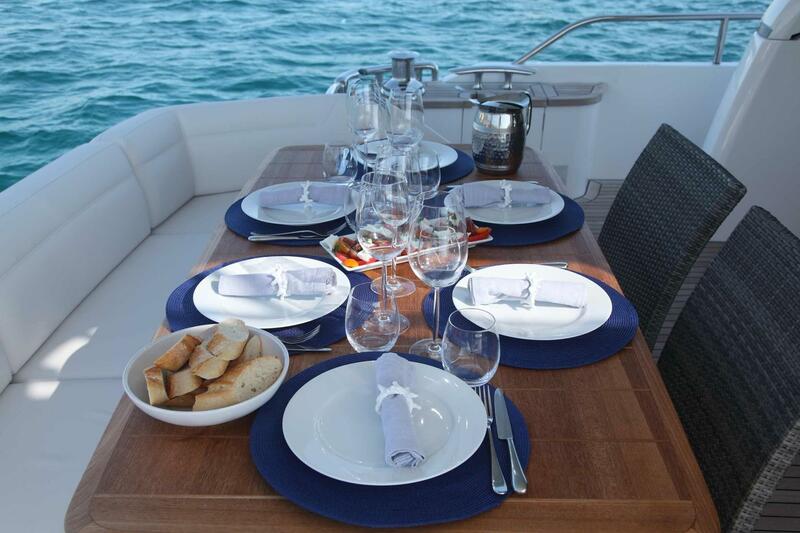 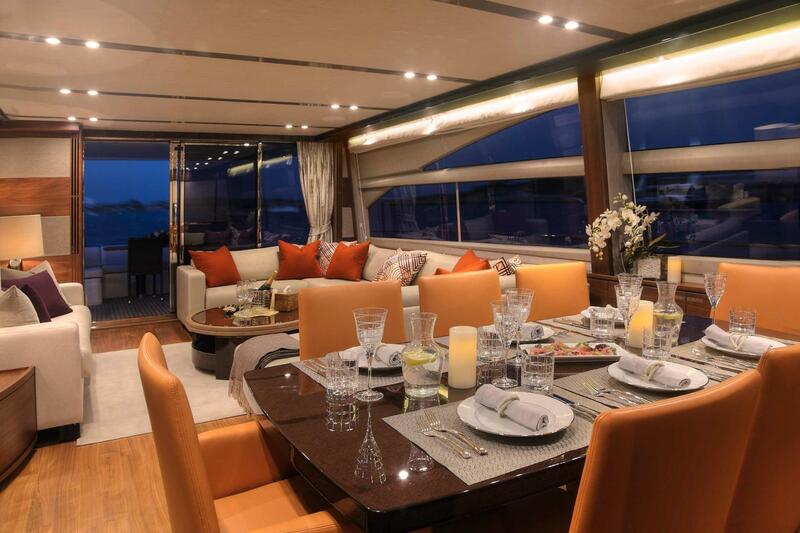 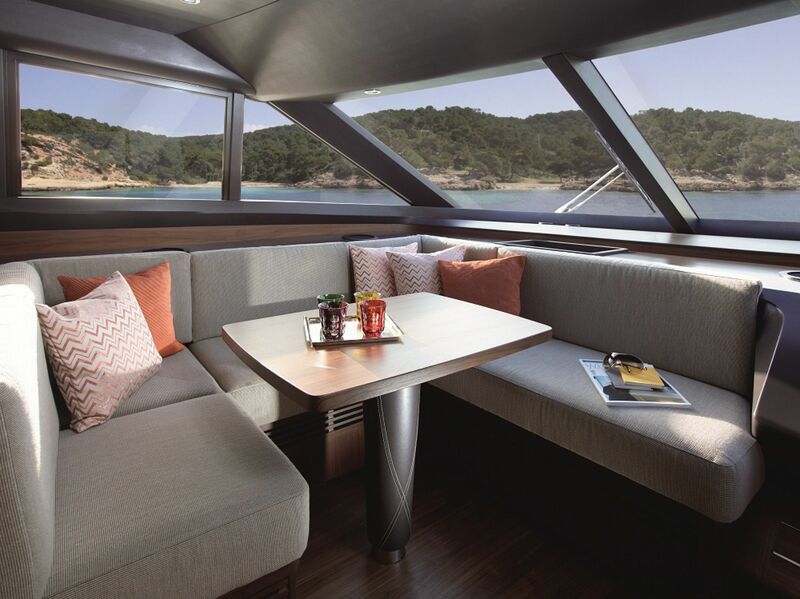 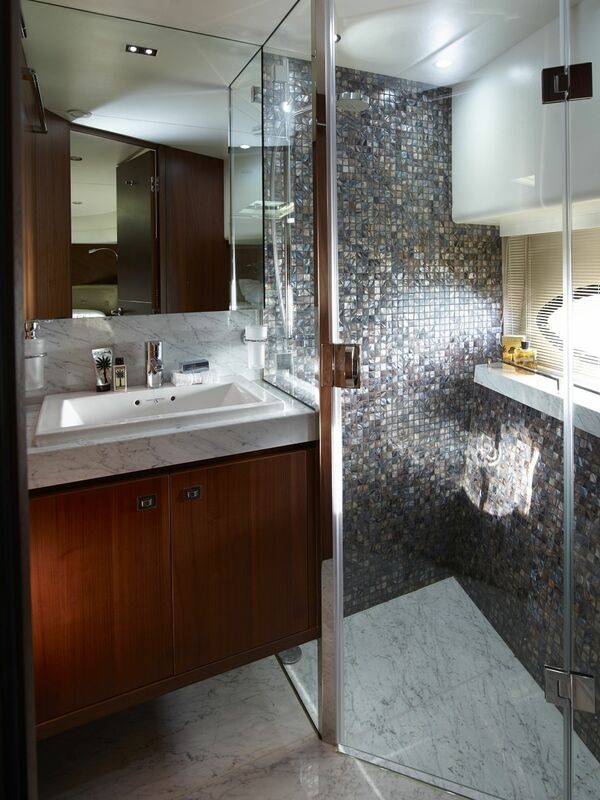 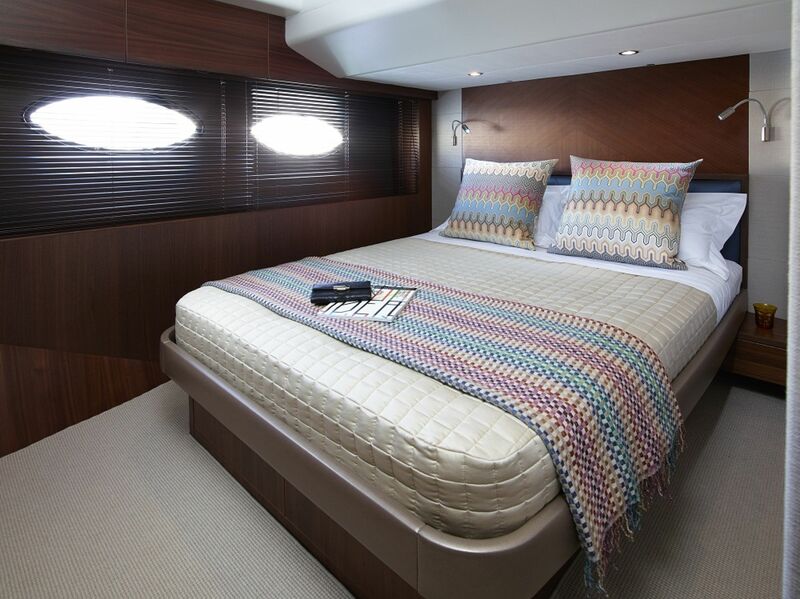 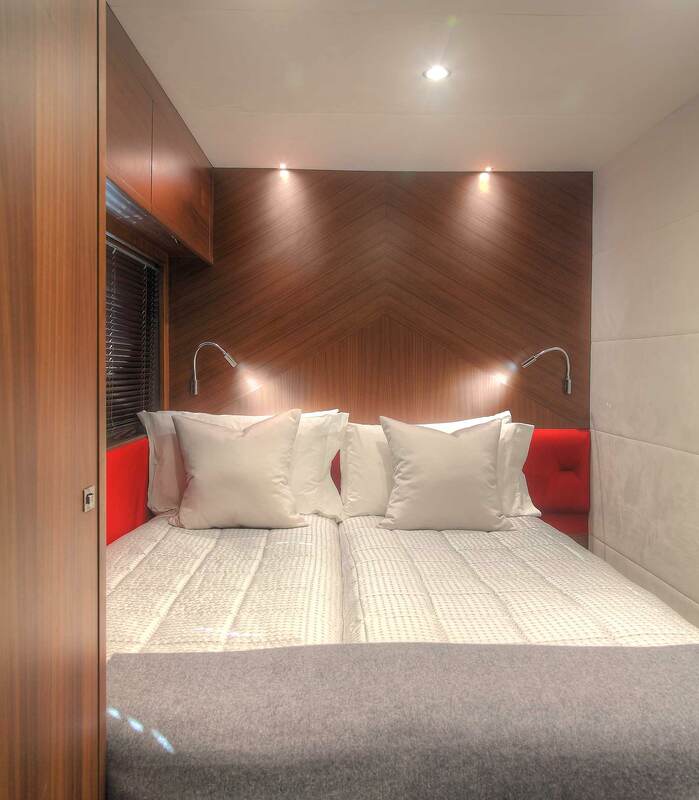 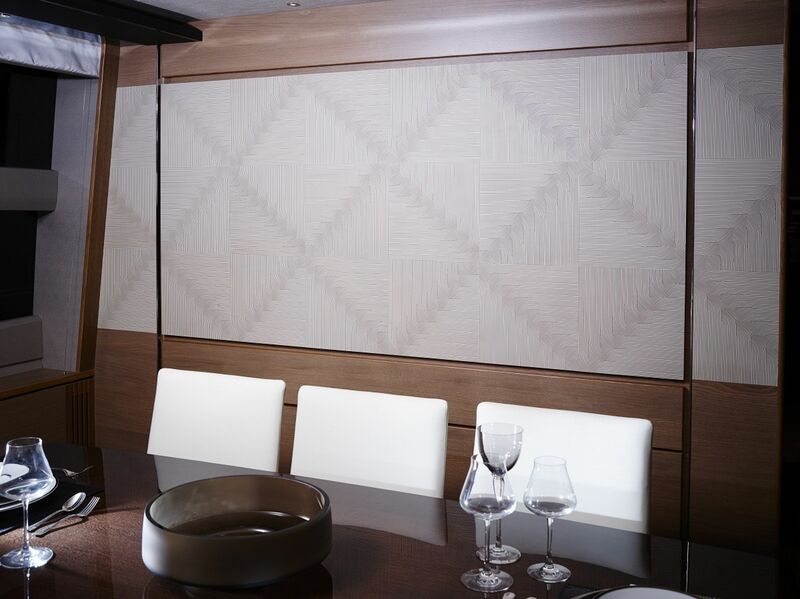 The yacht has an impressive interior decor that is welcoming featuring warm tones and beautiful woods. 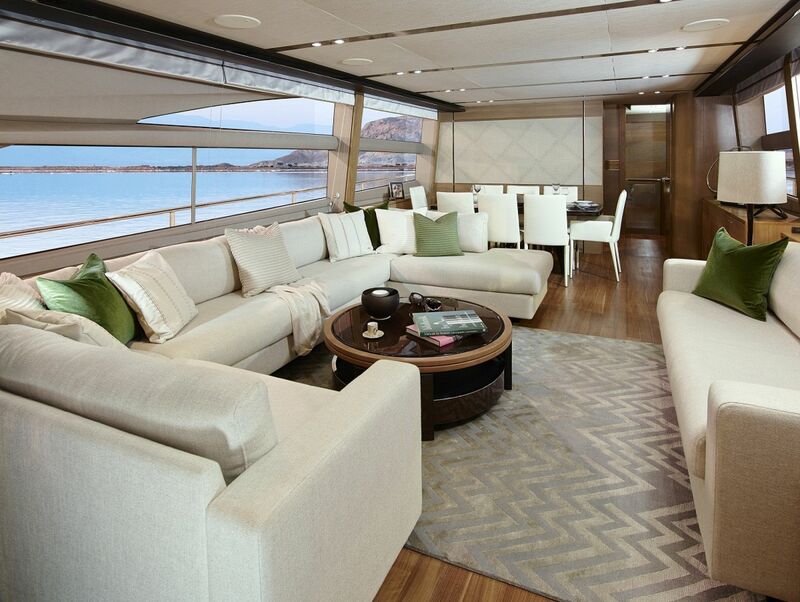 Stepping into the main salon, there is a generous lounge aft and open plan formal dining forward. 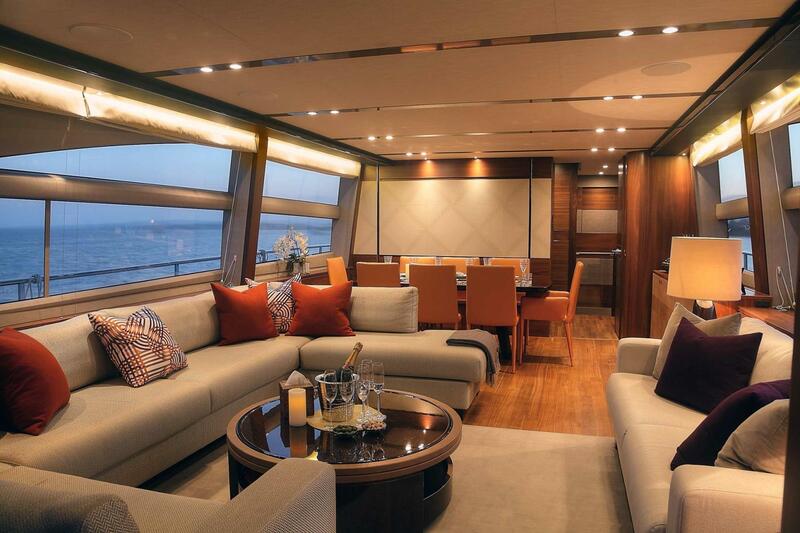 The space is surrounded by windows, providing fabulous natural light and great views. 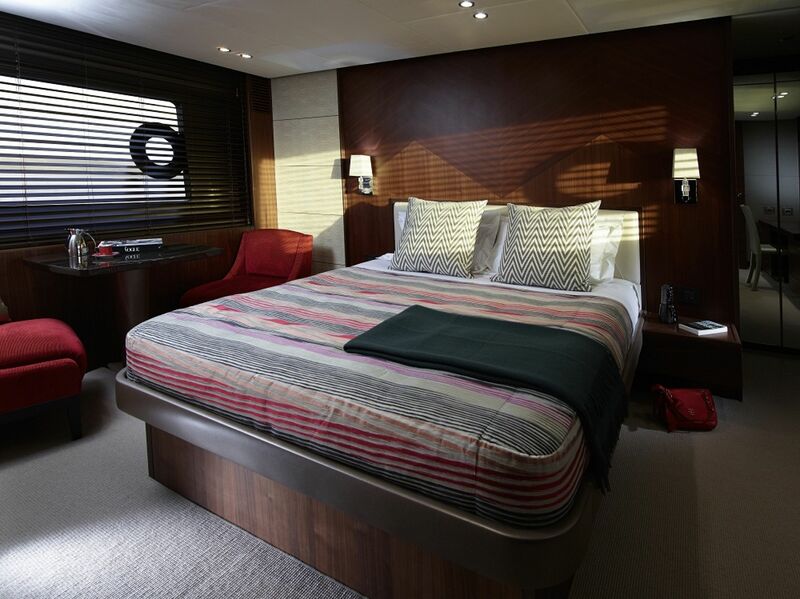 Below decks are 2 full beam cabins, one double cabin and one twin cabin. 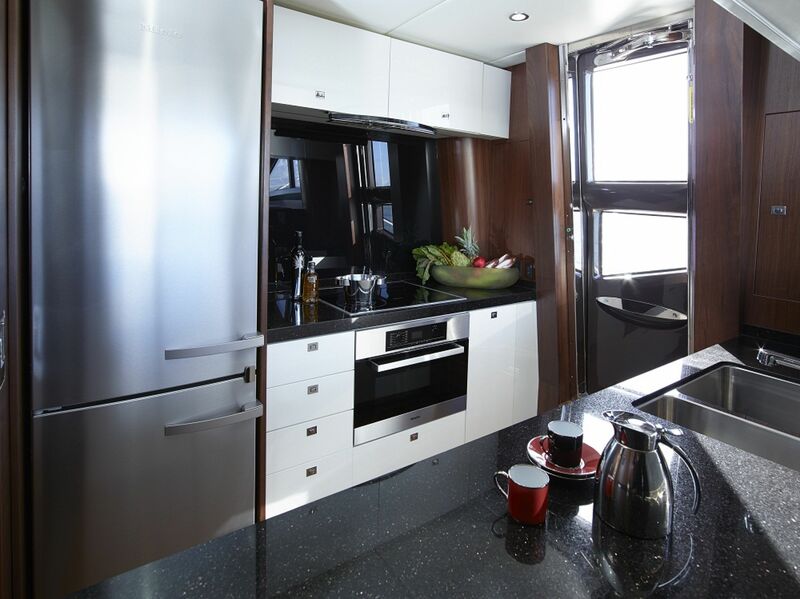 SAMAKANDA offers excellent exterior living over 2 levels. 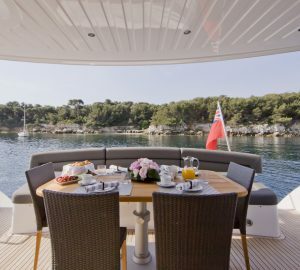 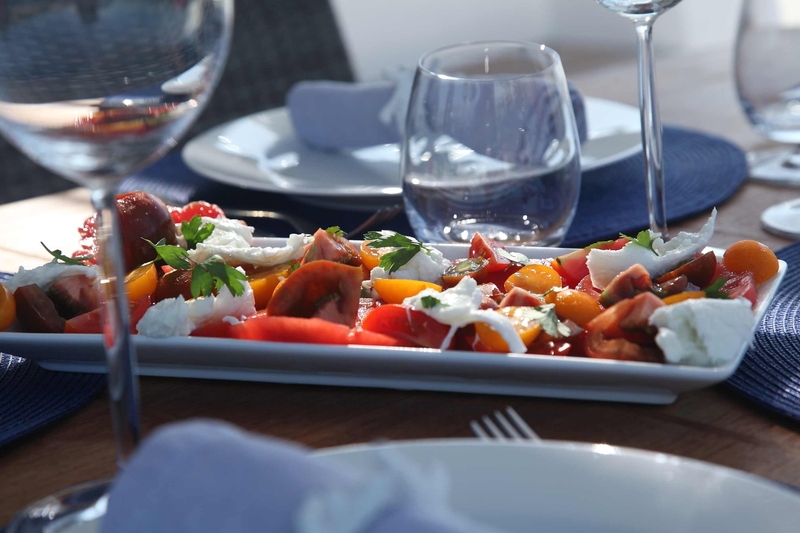 Adjacent to the salon is the shaded aft deck, alfresco dining, seating and access to the swim platform. 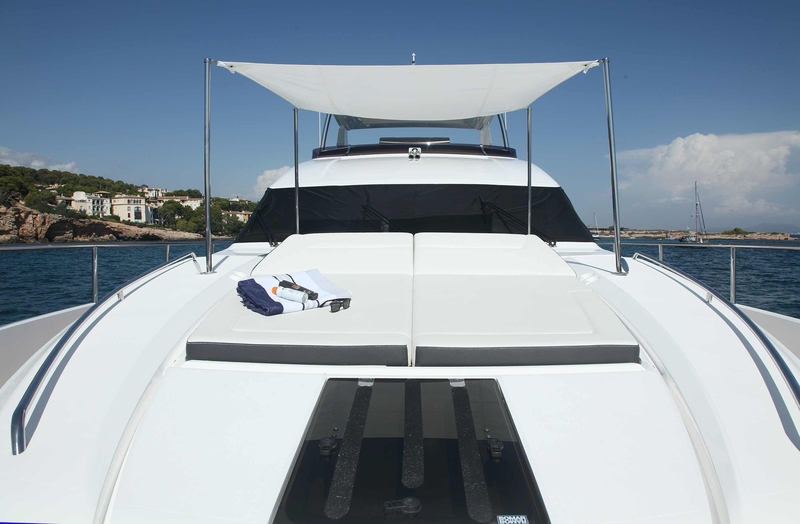 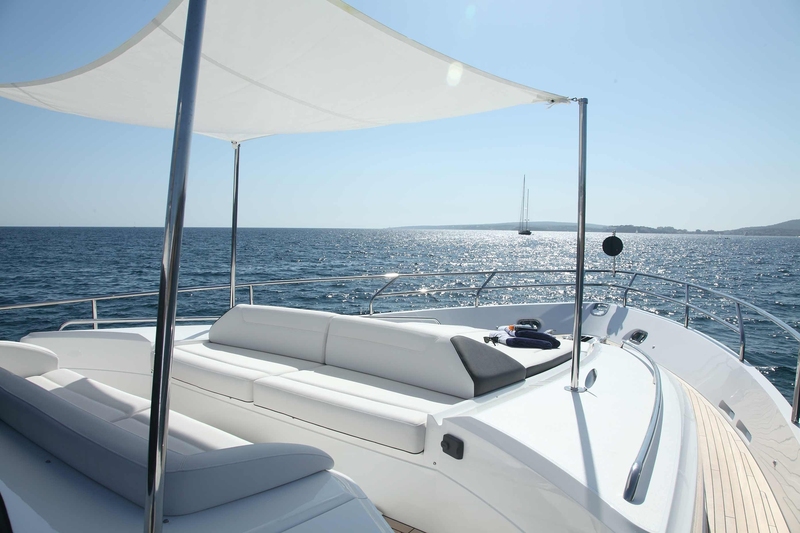 Side decks lead to a sunpad on the foredeck with optional shade. 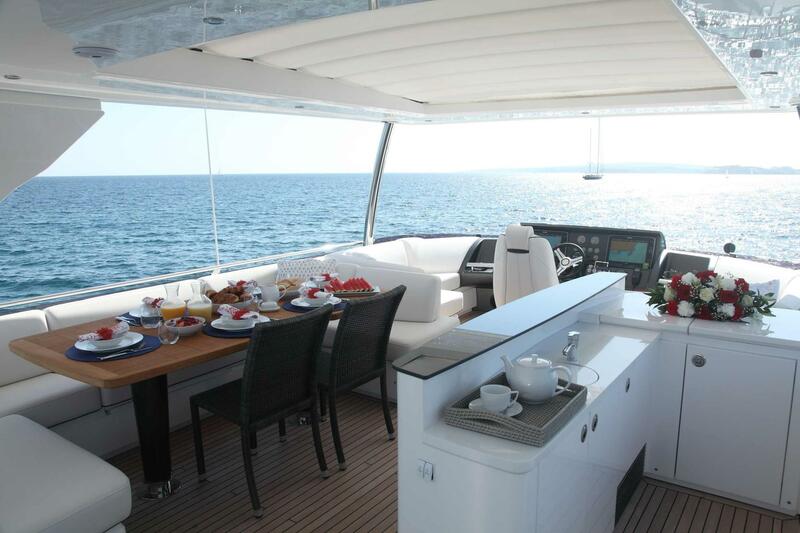 Her sundeck is ideal for any occasion, complete with a Jacuzzi, alfresco dining, wet bar, sunpads and retractable roof. 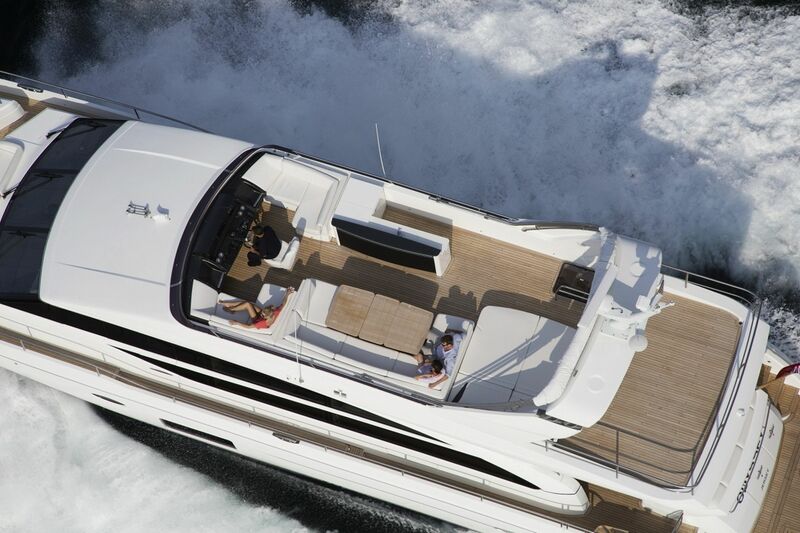 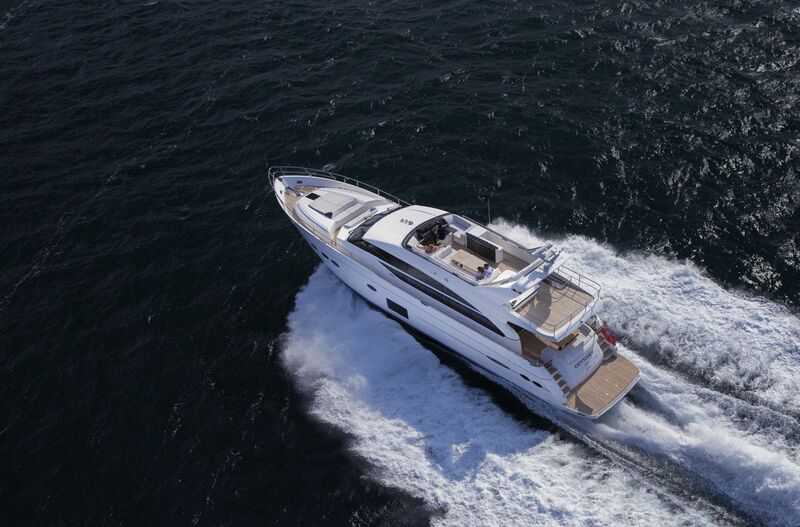 Powered by twin MTU engines, she cruises at 21 knots and has top speeds of 30 knots. 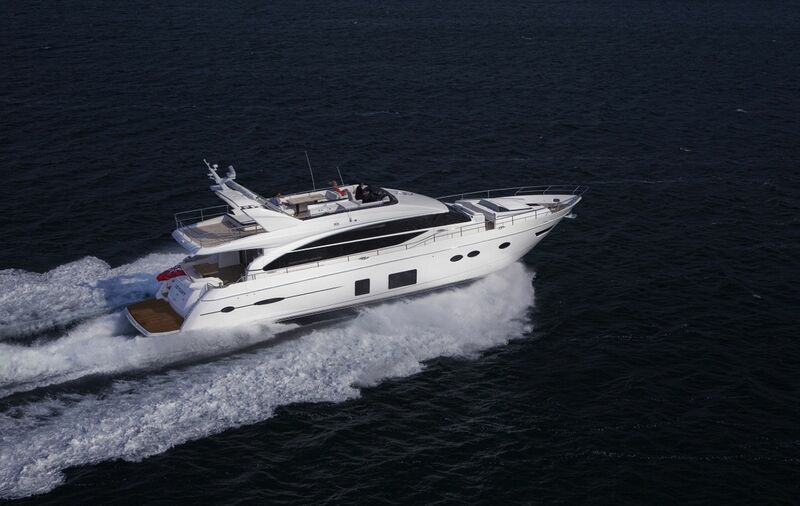 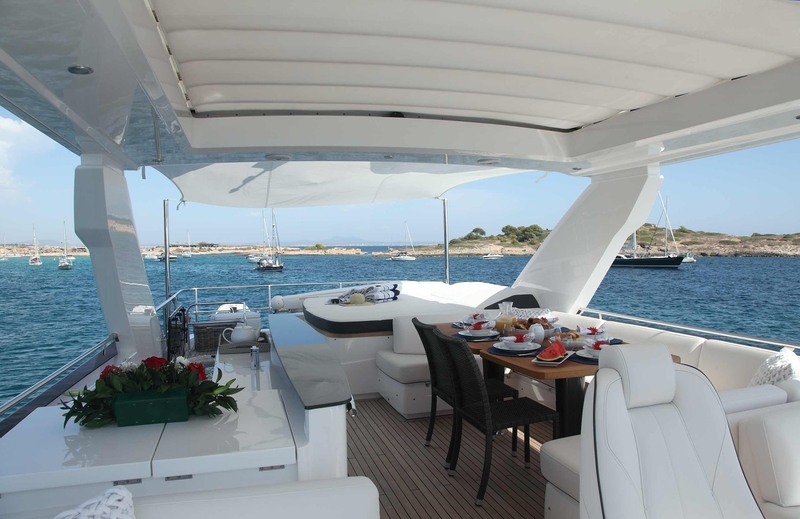 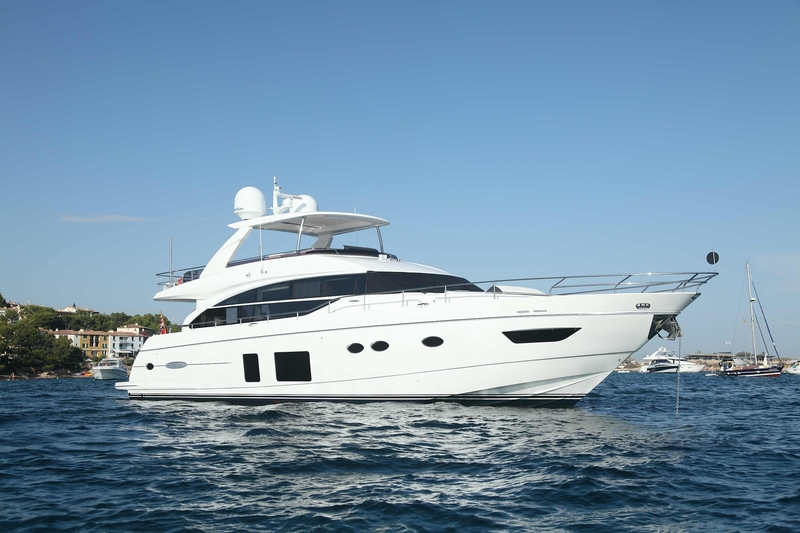 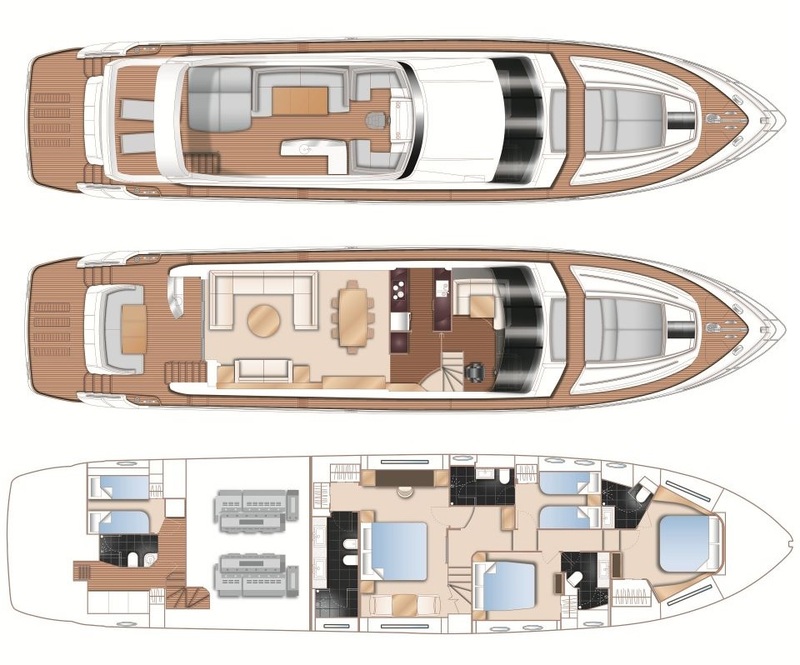 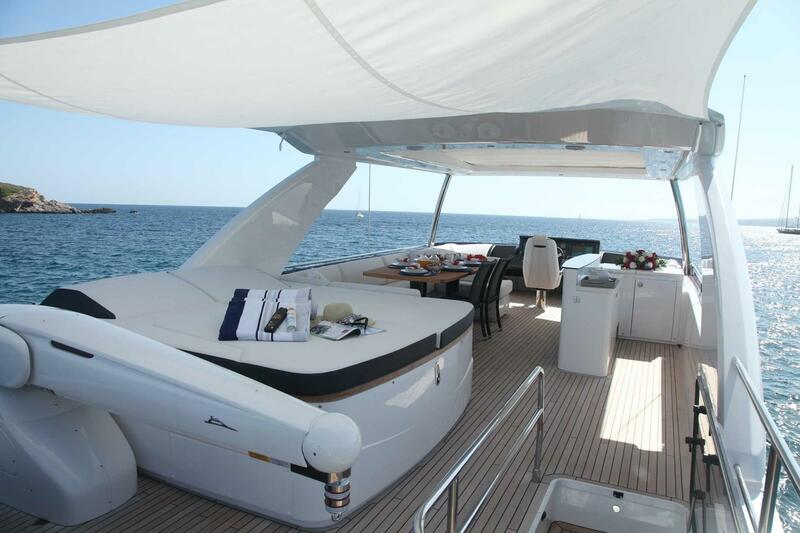 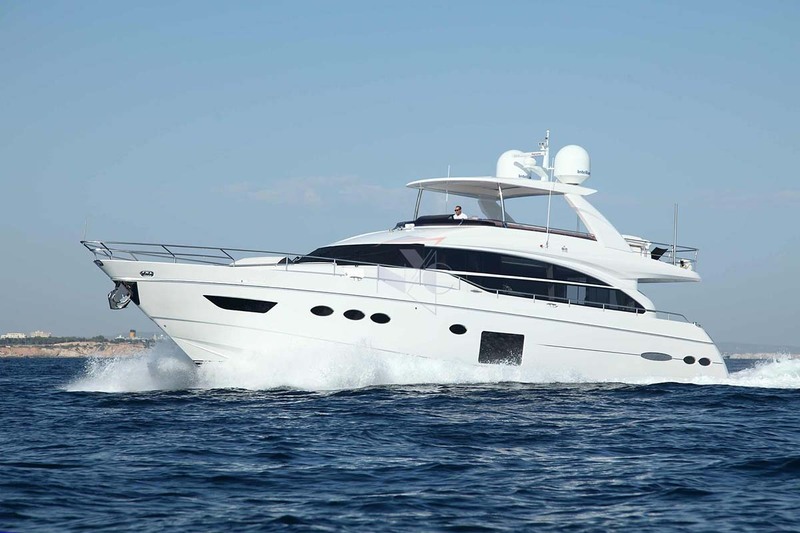 The Princess charter yacht has been fitted with both at anchor and underway stabilizers. 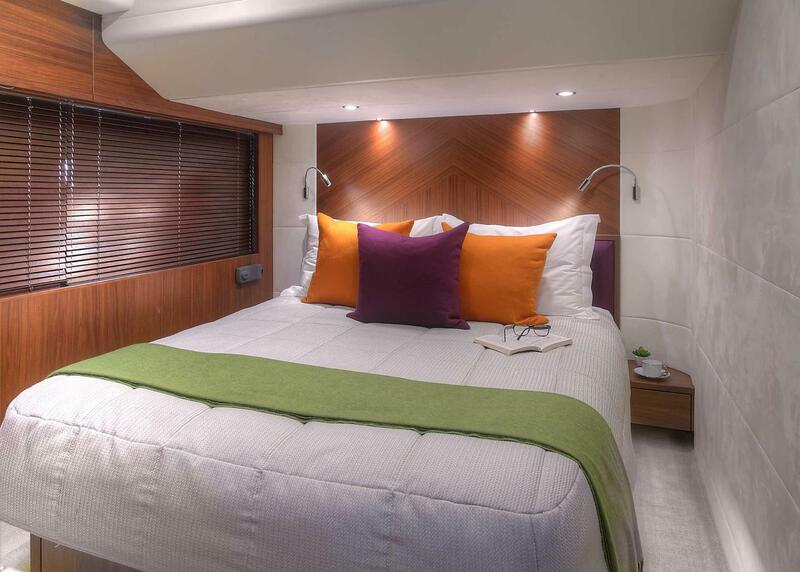 Accommodation is in 1 master cabin amidships, 1 VIP forward, a double cabin and twin cabin. 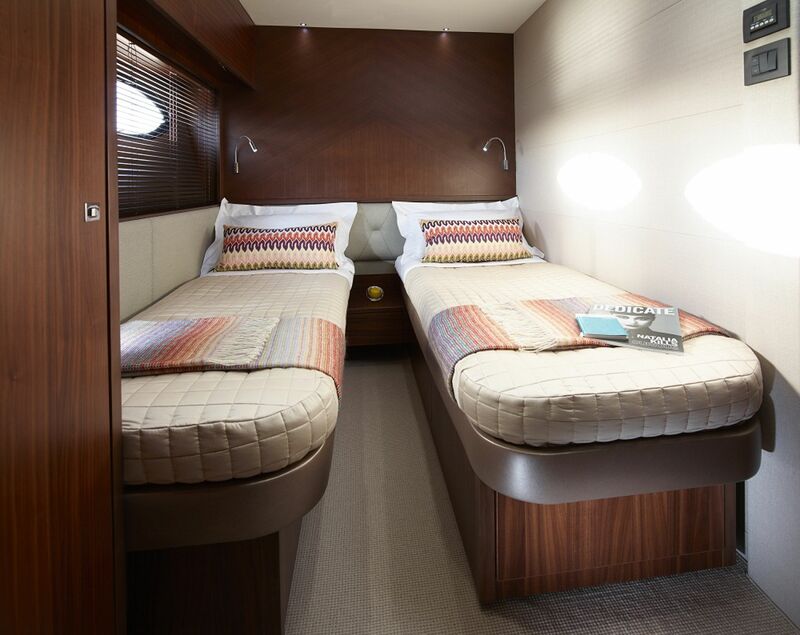 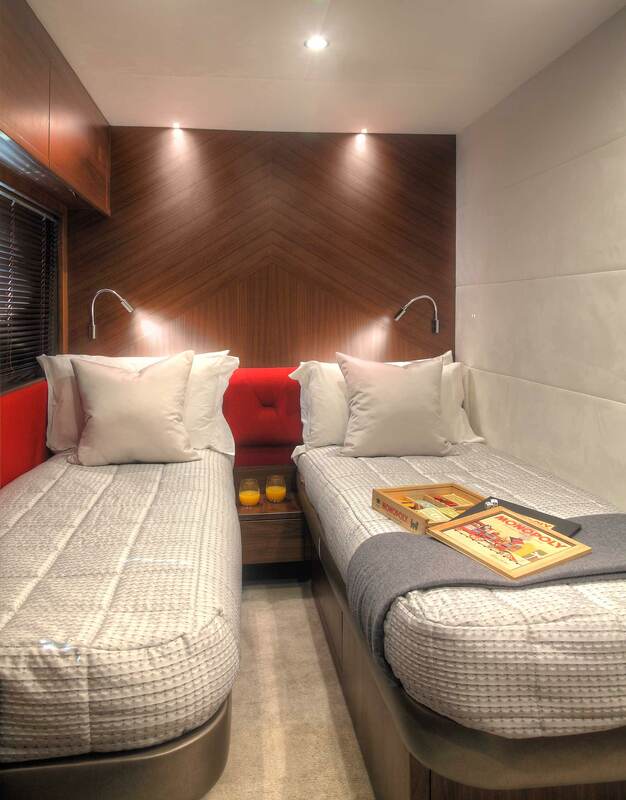 The twin cabin can also convert into a double when required.